Today I took 2 hours of online continuing education credits (CEU’s). Taking a certain number of these every year is required to maintain one’s architecture license. Somehow, despite yearly resolutions to spread them out over the year, I always wind up doing them all in December. The two I took today were thought-provoking in a kind of indirect way. 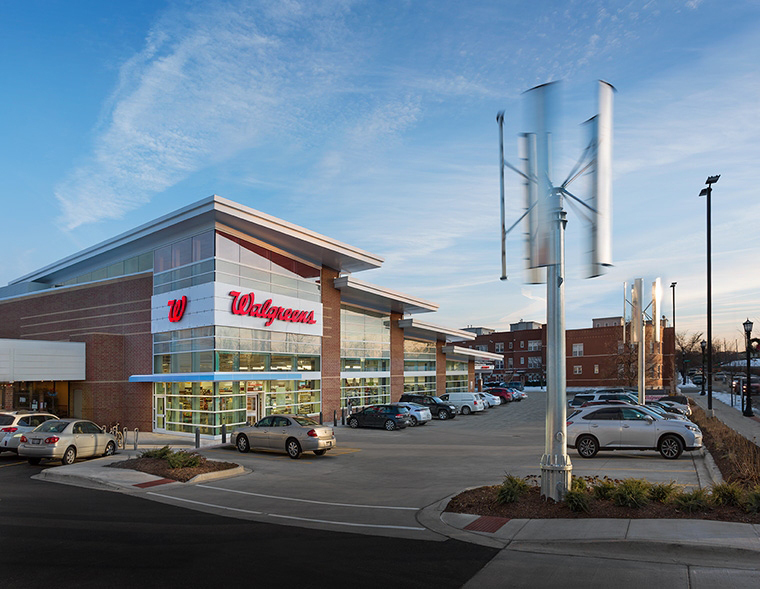 Both were about sustainable design and the need to have metrics that allow for actual reductions in greenhouse gas emissions instead of just trying to reduce them compared to the standard (ASHRAE 90.1). LEED v4 takes a more nuanced approach to energy, giving credits for things like letting other people put solar panels on your roof and taking the nature of the local power grid into account, which determines whether reducing energy cost (per 90.1) reduces or increases carbon. This is obviously very important, but as the standards becomes more complex, satisfying them in architects’ designs either takes more of their time or causes them to share our fees with more specialized consultants. Both serve to reduce the time available for design and will eventually cause its devaluation in the profession and the schools, if it hasn’t done so already. 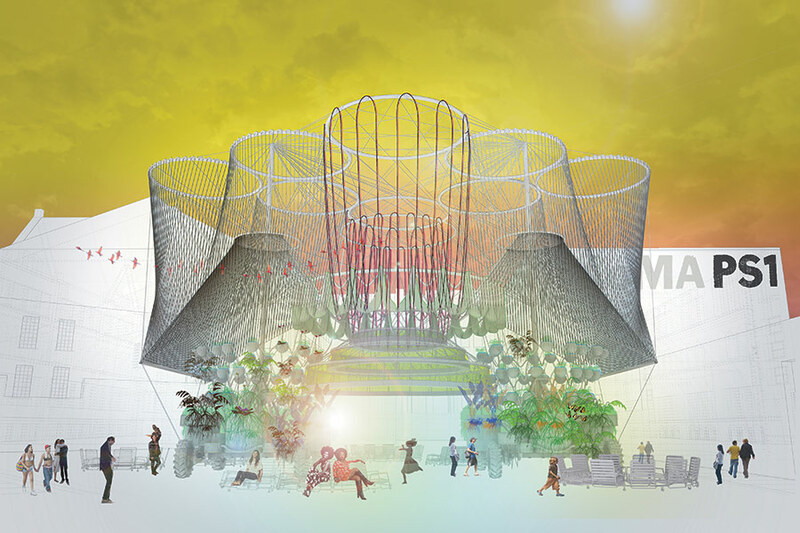 This illustrates the idea developed throughout this blog that performance-based design (simulation) and embodying ideas in architecture (representation) are at odds. It’s unconscionable to oppose performance standards that are aimed at combating climate change and resource scarcity. On the other hand, if these pursuing these goals competes with the expression of ideas for time and resources, then we’re heading for the end of architecture as we’ve known it in the West since the Renaissance. This is in part a practical problem that could be solved by increasing the resources devoted to design, an unlikely prospect in this country at least. But I think it also involves a shift in the values architects bring to their work. If architects spend so much time pursuing performance goals for sustainability or anything else, their values are likely to change to make the pursuit of enhanced performance essential to architecture. I think we can already see this happening. I was surprised to find that I haven’t posted anything here for over a year. I knew it had been awhile, but a whole year! Time to catch up. I’ve written a few articles during the past year that cover a range of topics according to what various editors were looking for. Unfortunately the only one is available online is “Resistance is Futile“, which appeared in City Weekly in May of this year. It’s an extended history and critique of the new Federal courthouse that opened in Salt Lake City in 2014. 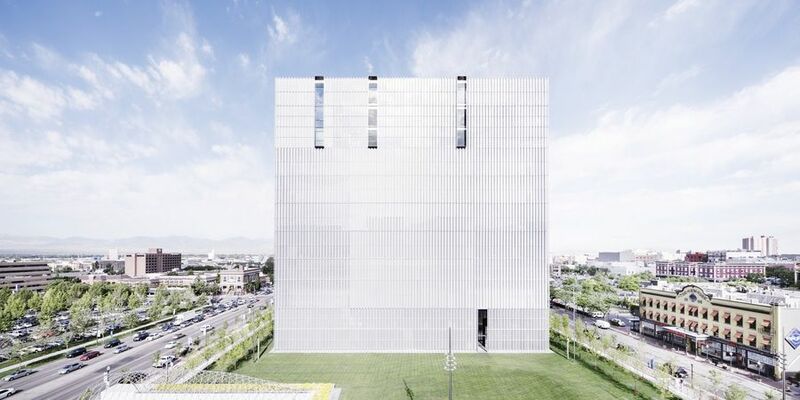 The building, designed by Thomas Pfifer and Partners, has been widely criticized by the public in SLC for its abstract cubic form and lack of ornament, leading to inevitable comparisons to the Borg cube from Star Trek. The public’s negative response to the building reflects the distrust of the Federal government endemic in Utah. I think it also reflects as a distrust of reason, common among religious groups like the Mormons who instinctively sense a tension between reason and faith based on a revealed doctrine. The history of the project, which took 20 years from the selection of the architect to completion, is a fascinating case study in the complex forces that collide to shape a project like this and one architect’s successful handling of these forces. Another piece appears in Volume IV of Dialectic : The Journal of the School of Architecture of the University of Utah. The theme of this issue is “architecture at service”. My contribution deals with the service Peter Eisenman provides the architecture profession, which is to provide a disciplinary discourse which is needed by every profession to establish its legitimacy. You can read the article here. A third article will appear in Visioning Technologies- The Architectures of Sight, edited by Graham Cairns and published by Taylor and Francis. It discusses our society’s changing visuality brought about by the displacement of representation by simulation as our mode of perception. I will post a copy of it here as soon as it appears in print. In the last post, I described how performance enhancement is increasingly becoming a core mission of many architectural practices. 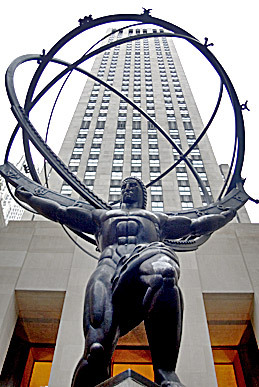 Performance enhancement, however, goes far beyond being a practical goal; it is an attitude, almost a design philosophy. If the architect is not careful, it becomes the sole design criterion , eclipsing essential but unquantifiable factors such as social, ethical and expressive considerations. Architects often blithely claim that there is no conflict between maximizing performance and “other” design goals. I’m not so sure. Performance is based on measurable metrics: how many kilowatt hours per square foot per year, foot-candles of daylight, dollars per square foot, etc. Although performance always involves trade-offs (you can’t optimize everything- or even very many things- at once) comparisons among alternatives are straightforward calculations. In this value system, the status of design qualities that can’t be quantified is uncertain. Even if architects believe that some such qualities are necessary for a good building, weighing their value against hard numbers is difficult. I believe that there is an implicit conflict between performance and other design values. Performance deprives non-performative values of any rationale, any basis for discussion that could elevate them above questions of individual preference. Performance becomes an ideology, valuing buildings solely on the basis of how well they meet performance metrics. Architecture cannot serve its social and cultural purposes if performance is the metric by which it is judged. 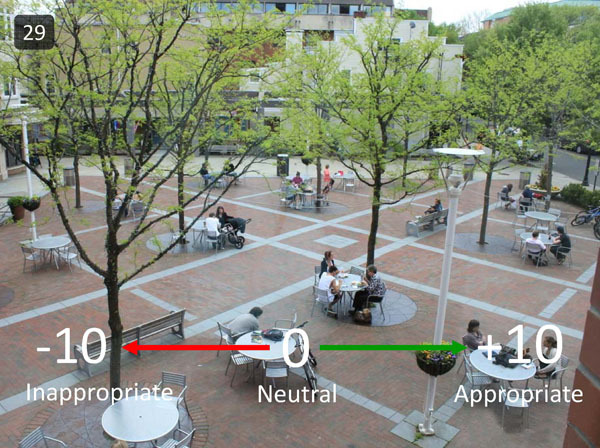 A slide from a visual preference survey- assigning a number to intangible design qualities. One approach to this problem is to substitute measurable proxies for non- performance- based qualities. For example, esthetics can be treated as a matter of opinion and measured by polls. This is what “visual preference surveys” do (see above photo). A group of people are shown alternative designs (or design elements) and the one that gets the highest score is chosen. The obvious shortcomings of this particular process are typical of the strategy: a proxy always distorts the quality it’s meant to represent. It places measurability above fidelity to a particular value. This seems to me to ensure the ultimate triumph of performance as the sole criterion for design, and the loss of the intangible qualities that distinguish architecture from mere functional building. Performance enhancement as a goal of architectural design is here to stay. It’s hard to argue with the benefits of better performance when it comes to energy consumption, embodied energy, carbon footprint, lowered cost (up to a point), faster construction, etc. What we need is a way to incorporate performance analysis in a more holistic design process. Parametric design offers a possible answer. As currently practiced, parametric design usually focuses only on a building’s form and structure. However, this is not an inherent limitation of the method. Almost anything can serve as a parameter if it can be made computable. Computability is not nearly as narrow a constraint as being strictly quantifiable. Recursive iteration allows algorithmic systems to seek solutions that are not the product of straightforward calculations but rather “satisfice” many criteria (i.e. come as close as possible to meeting them all while actually meeting none). Many of the explorations in computational design being carried out today can be seen as efforts to understand how the constraint of computability affects design outcomes. This question needs direct investigation. Another insufficiently explored dimension of parametric design is the role of the human designer. A human designer affects the algorithmic design process both in designing the algorithmic system itself and in choosing “winners” for further exploration from a set of algorithmically produced solutions. This allows- compels- a designer to explore her ideas beyond those explicitly embodied in the algorithmic system. There’s a great deal of work to be done to reconceive design is this way. One way or another, architects must find a way to avoid the performance “trap” and maintain the value of other types criteria in the design process. We can’t be satisfied with simply wrapping a performative object in an interesting form, or dressing it up with nice materials. As problematic and unfashionable an idea as it may be, a meaningful built environment is architecture’s ultimate product. Left unaddressed, the architecture future of performance enhancement will lead to the replacement of architecture by engineering. The explosion of technologies that are transforming architecture is changing everything about it- how it is viewed by clients, the services architects offer, the economics of the office, how projects are designed and documented, how architects market their services, the skills architects need to have to be successful, etc. None of this is news to you, I’m sure. There’s an avalanche of information and advice out there about how to handle all this change (often promising to figure it out for you- for a price), but have you stopped for a minute to think about where this is going in the long run? These developments in design and construction are not taking place in a vacuum; they are of a piece with the cultural transformations being created by social media, computer-generated entertainment, online media distribution, virtual reality, artificial intelligence and a raft of other phenomena made possible by ubiquitous, cheap computation. We are only beginning to understand their scope and significance. In the next several posts, I’ll offer some architecture futures I can foresee under these conditions. They’re based on my 32 years in practice, many years of reading and teaching, my involvement with the AIA Technology in Architectural Practice knowledge community, and finally the research that became The Death of Drawing. These futures aren’t exclusive. I actually think most or all of them- and probably others- will happen. Each has different implications for how we should think about what we do and prepare ourselves for a career that will be very different from the one we imagined when we dreamed about becoming architects. So far, the most common use of new architectural technologies has been to improve the performance of projects. Performance has both technical and financial aspects. 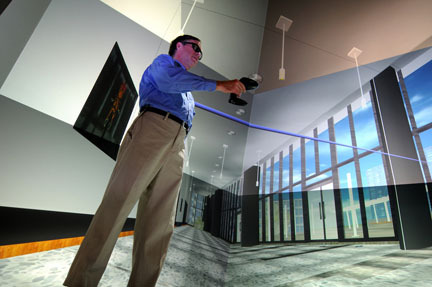 On the technical side, various kinds of simulations are becoming both more routine and more sophisticated. Energy and daylighting analysis are probably the most common, and there are many others as well. Other software allows engineers to optimize structural and MEP systems. In fact, with the increasing emphasis on technical performance, architectural design is starting to resemble engineering design in some practices. From a financial standpoint, both our internal operations and construction economics are affected. 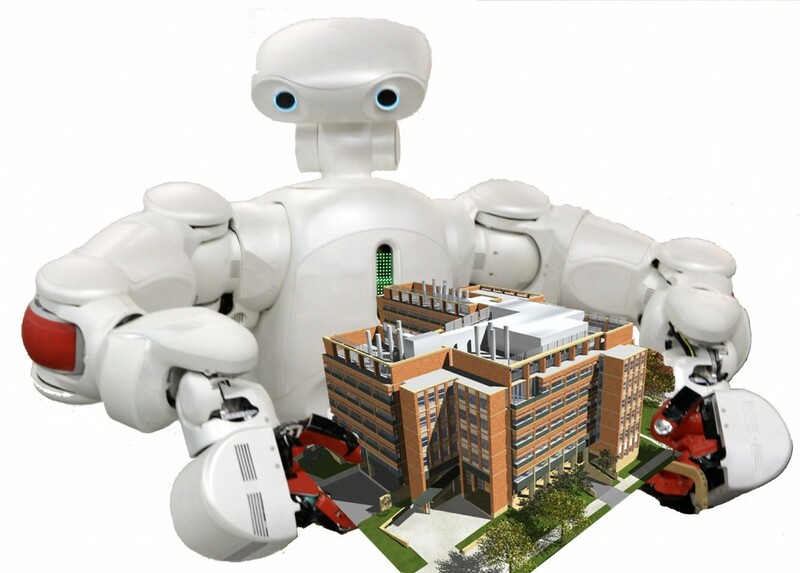 Building information modeling is transforming our role in many ways, as has been discussed ad nauseam. As has been frequently pointed out, one general tendency of these changes is to create a more level design team in which information is more freely shared and design decisions are more often taken jointly by several members of the team. This changes workflows in our offices, requiring information on various aspects of a design at different stages and levels of detail compared with traditional practice. BIM also affects our productivity. BIM vendors maintain that this is positive, but the reality is that it can cut both ways depending on how a firm implements the technology and how prepared its staff is to use it effectively. BIM and related software also expand the range of services we can offer, going as far as creating entirely different business models for our firms. In the past, building owners’ greatest complaint about the design and construction process was the uncertainty about the cost and duration of their projects. Technology has done a great deal to reduce this uncertainty. BIM-based design coordination is important in this regard, but perhaps a more significant factor has been the ability of contractors to play a greater role during design. Automated quantity take-offs provide rapid, accurate cost estimates early and often. 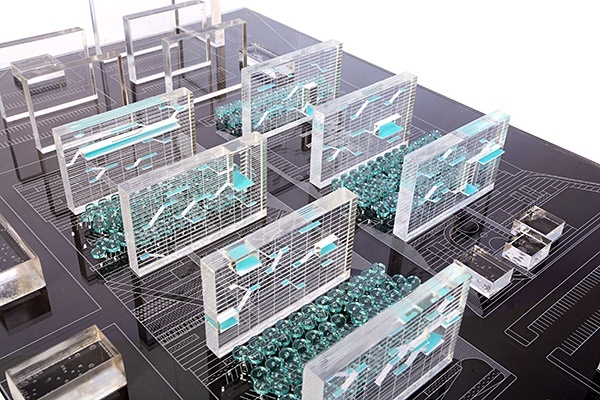 Modeling the construction process allows contractors to identify opportunities to save time and money. With all of this cost information available, architects must respond to financial considerations sooner and more stringently than before. These contractor-driven cost savings encourage building owners to give contractors a more prominent role during design. This drives the growing use of project delivery methods such as design-build, CMGC (construction manager as general contractor) and integrated project delivery, all of which involve architects in contractual relationships with builders. The traditional firewall between design and construction is gone. This has enormous potential financial benefits for building owners. It also subjects architectural design to new pressures and changes its priorities. In spite of these changes, many American architects have seized upon performance enhancement as the salvation of the profession. Phrases like “high performance building” and “evidence-based design” have entered our vocabulary and our marketing materials. After years of watching contractors and construction managers eat our lunch, we finally have something to offer our clients that can compete in tangible value with control of the construction process! A quick look at your inbox (be sure to check your junk mail folder) will confirm this trend. And why not? It makes utter economic sense. It even has an ethical rationale when applied to sustainability or duty to our clients. At long last, it seems, we can honestly say that we have no other goal than to serve our clients’ best interests. But something about this newfound zeal for performance makes me uneasy. Can architecture be reduced to performance? If not, can other values co-exist with performance enhancement? Next: Architecture futures: Performance- Can We Have Our Cake and Eat It Too? In my previo us post I argued that, by awarding Peter Eisenman the Topaz Medallion for Excellence in Architectural Education, the architectural establishment tacitly recognized the need for architecture to appeal to ideas that transcend the pragmatic demands of building. This is what distinguishes architecture from other building design disciplines. Such ideas engage the social, political, historical and philosophical questions raised by the activity and products of building. Most architects believe this but have difficulty defending the notion that architecture represents ideas. For business purposes, our mission is to serve the interests of our clients. For our own purposes (and for a select group of clients) we serve society at large. We are thus in the position of having to maintain a precarious balance between being a technical design discipline and a creative activity that can, under the right conditions, move people to feel and think in new ways. Eisenman and others like him play a vital role in this balancing act. In this context, the ideas themselves are unimportant. What is important is gaining acceptance for notion that architecture embodies ideas. By whatever means (a fascinating subject in itself for another time) Eisenman has achieved this acceptance. This is true not only within the profession, but crucially among a small but influential group of critics and patrons as well. By lionizing Eisenman, the profession shares his elevation of architecture. He provides credibility for the idea that architecture represents ideals distinct from the pecuniary and performative interests of clients- a central part of the profession’s identity. In celebrating Eisenman, the profession also proclaims its intellectual bona fides by embracing challenges to its prevailing doctrines. Furthermore, Eisenman diverts attention from the profession’s essentially economic function. He recognizes architecture’s social context only in terms of abstract historical transformations; he does not address the specifics of the interaction between architecture and a given social or cultural condition. He avoids any overt critique of economic and political bases of the existing system of building production. That would be tantamount to criticizing clients, which the profession could never embrace. Eisenman’s radical challenge to the profession paradoxically allows architects to accept their situation and negotiate the difficult space between a noble vision of architecture and the daily realities of their work. His ideas are safe, except insofar as they cause architects to question themselves (no small thing). They carry no real weight for practice, being manifestly unconcerned with actual work. They do, however, allow architects to see themselves as engaged in something transcendent. His ideas are like caged tigers- thrilling to contemplate yet posing no real danger. I think that the heat with which many architects reject Eisenman and theory in general results from a profound disappointment. While they believe that architecture should embody ideas, the practical demands of maintaining a practice leave little room for intellectual exploration. They want to be reaffirmed in this belief- they want ideas that they can apply to their work. By their very nature, Eisenman’s cannot be. On the contrary, he dismisses their work to the point of saying it is not architecture at all. No wonder they’re angry. It’s sad, really. Architects are hungry for ideas, but it’s as if Eisenman is offering us cheese and we are lactose-intolerant. 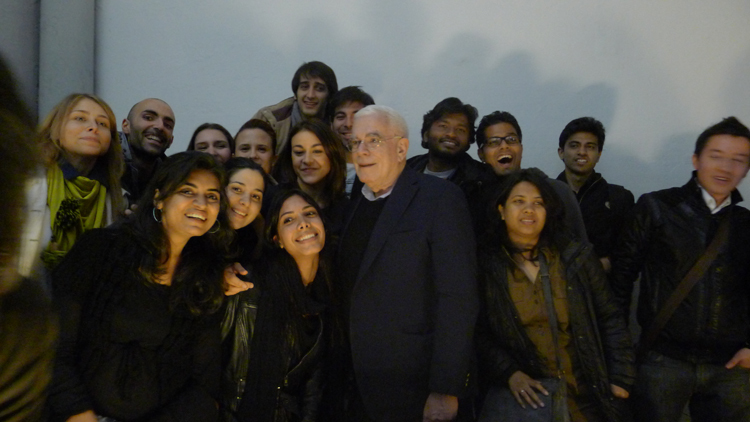 As his former student, I was delighted with the news that Peter Eisenman was awarded the Topaz Medallion for Excellence in Architectural Education last week. For those unfamiliar with this honor, it is an annual award made jointly by the American Institute of Architects (AIA) and the Association of Collegiate Schools of Architecture (ACSA) in recognition of a lifetime of achievement in architectural education. It thus represents a rare moment of concord between architectural professionals and academics. Awarding the Topaz Medallion to Eisenman was an extraordinary thing to do. In the first place, most of its past recipients are or were full-time academics for a significant portion of their careers. Eisenman, despite his prolific teaching, has never held a full-time academic position. But more importantly, it is what he taught that makes this award remarkable. Although his specific ideas have undergone periodic revisions, he has consistently argued against the most basic principles that sustain the contemporary practice of architecture. In one form or another, the idea that architecture attempts to artfully reconcile form and function dominates the profession today. In his 1977 editorial “Post-Functionalism” in the journal Oppositions, Eisenman outlined his program of deriving principles for architectural design from the historical conditions that create the grounds of meaning (or lack thereof) of cultural products in general. He explicitly rejected traditional notions of both form and function as based on obsolete ideals. By awarding Eisenman the Topaz Medal, the AIA and ASCA apparently recognized the influence of his profoundly subversive approach to architecture. One reason to give Eisenman this award is that there are many architects like me who are his former students and who cannot help but acknowledge his influence on their thinking. He has a unique passion for architecture and sees it as a demanding intellectual discipline. It is a field of action where the forces of history contend and its practice is a kind of spatial historiography. It is difficult to experience Eisenman’s teaching and not come away with the conviction that architecture is the most important thing in the world. Studying it is therefore a very serious business. Eisenman endows his students with his level of passion and seriousness (if not knowledge), making their work important. I can tell you from experience that this is tremendously exciting for a student. Simply put, he is a great teacher, provided one thinks that the proper concern of a teacher is conveying knowledge and passion, not nurturing students’ supposedly fragile egos. Peter didn’t hesitate to couch his criticism in-well, critical terms. I took this as a token of his respect for the seriousness of my work and my ability to approach it critically. I know that many students have been hurt by his sometimes caustic manner, but even these have often recognized after the fact that they learned a great deal from him. However great Eisenman’s influence on his students, we had to put most of it aside when we began working. Even the most “stellar” firms need to concern themselves with their clients’ programs. Budgets tend to reify pre-existing “ideals” of form, since straying too far from formal precedents is usually expensive. Clients stubbornly insist on seeing their buildings as practical tools rather than as contributions to critical discourse on architecture. Yet Eisenman’s teaching has stayed with us, in spirit if not in the details. The image of architecture as a serious intellectual undertaking with its own principles and, dare I say, ideals has a powerful hold on our imaginations. And not only on those of his former students- I would argue that every architect bases some of his or her self-image on ideas such as Eisenman’s. Most of us draw a distinction between what we do for a living every day and some idea of architecture as it would exist under ideal conditions. By understanding our daily work as a pursuit of a pure idea which is inevitably doomed to fail, architects both maintain the ideal and the ability to justify the distinctly non-ideal work we do. Without such an ideal, architecture becomes a form of engineering: finding effective solutions to concrete problems. There is nothing wrong with engineering, but most architects believe that that is not what we do. By giving the Topaz Medal to Peter Eisenman, the architectural establishment recognized the need for such an ideal, for an image of architecture as a high-minded pursuit that follows its own precepts, that exists independently of any of its instantiations. Is BIM going to take your job? Technological adaptation. People and institutions tend to adapt themselves to the demands of technologies they use rather than demanding that technology be designed to help them work as they normally would. This sounds like a choice, but in practice very few individuals or groups can design software for their specific needs. Software vendors cannot afford to tailor their products to the needs of specific individuals or groups. At best, they can provide features that most of their customers want and flexibility to allow others to adapt the software to their needs. Past a certain (quickly reached) point, adapting even the most user-friendly software is beyond most users. The generation effect. The idea here is that we remember and learn better if we must actively provide some of the information we are trying to master. For example, simply rereading information is a far less effective way of learning than closing the book and recalling the information from memory. Our active cognitive engagement in learning heightens our retention and ability to use the information creatively. Most expert systems are designed to reduce the cognitive load on users, under the theory that this will reduce the number of errors they make. The generation effect says that, in the long run, this makes us dumber. Deskilling. Carr describes studies in several domains demonstrating that reliance on automated systems results in their operators becoming less skilled. This is hardly surprising- by offloading tasks to an automated system, people’s skills get rusty from disuse. This has been of particular concern in aviation, where pilots are now required to spend a certain amount of time in manual control of their aircraft to keep their skills sharp. You’re probably already thinking about how these effects manifest themselves in architecture. BIM in particular is taking on more features of an expert system with every new release. After all, the original rationale for BIM, and the reason for its rapid adoption in the mid-aughts, was a that it would reduce errors in architects’ drawings. Information-rich BIM families and objects reduce the information an architect needs to recall (bye-bye generation effect). Intelligent objects further reduce our cognitive loads by “knowing” rules that govern certain objects (e.g. standard door sizes) or how certain elements interact with others. I’m sure you have your own stories about how your firm has had to adapt its work processes to the requirements of BIM. I’ve heard many horror stories about mistakes made because someone assumed that the BIM software “knew” how to do something that turned out to be wrong. As for deskilling, I’ll let you decide if this is taking place or not. Even if it is, it may be difficult to detect in the short run. There’s also an important question of whether what’s happening is deskilling or re-skilling. The skills required by modern design and construction are not necessarily those of the traditional architect. Students graduating from architecture schools that emphasize digital technologies may not know how to draw, but they have other skills that are needed for modern digitally-driven construction. For the record, I think they still need to learn to draw and draw well for reasons I discuss in the book. Carr makes no attempt to account for automation and its tendencies in a broader context. He begins with the observation that we are making increasingly sophisticated use of automated systems in search of greater productivity. He calls for us to re-think how we design automated systems- to support rather than replace us. That’s a sound recommendation, but it doesn’t get at the root of the issue. What we are up against here is not merely a choice about technology, but an established cultural mode that values performance– the efficient achievement of some goal- over everything else. This is what technology does. The choice of goals is another matter. This calls for ethical values to be applied not only to the goals themselves, but also to the acceptable means of achieving them. This, as I’ve argued in a previous post, is a role only architects can play in the building industry and, indeed, our most important one. The performative nature of BIM poses an enormous challenge to architects. If we stand idly by while the technology follows its natural course, we’ll eventually find ourselves redefined as BIM operators. We urgently need to discuss how to use BIM and other computational tools in order to maintain our ability to balance performance with other goals in our work. It’s past time we started this discussion. COSMO H2O, Andres Jaque, Office for Political Innovation. Night rendering. I’ve noticed a trend lately of architectural projects getting prizes and other attention based- for public consumption at least- on some aspect of their performance. Looking at such projects, it’s often obvious that this function is either trivial or beside the point, given their formal interest. Why has function- performance more generally- become the dominant narrative of architectural value? However, the project purifies a trivial amount of water- 3000 gallons every four days. For reference, the average American family uses about 300 gallons a day according to the EPA. Even allowing for our profligate and unsustainable level of water consumption, 750 gallons a day is the proverbial drop in the bucket in the context of the real problem. Jaque claims that “COSMO is intended as a prototype that can be easily reproduced around the world to deliver drinking water where it is needed most.” But given its minuscule output, COSMO is not a prototype of useful practical water purification system. Perhaps it’s scalable, but no mention is made of this crucial fact if indeed it is true. The point is not to quibble with the architect’s claims or MoMA’s selection of the project. What I find interesting is the importance assigned this token function. 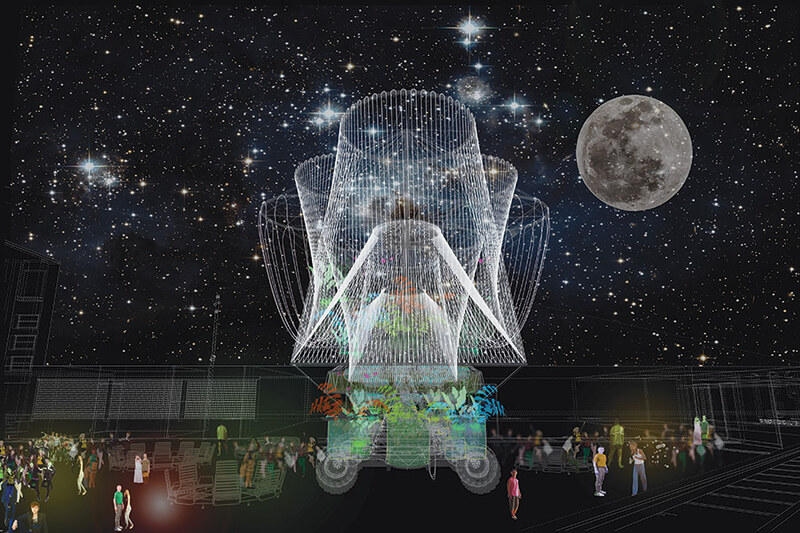 A quick look at the renderings (see above) shows very different, and more plausible, reasons why the project was chosen: it’s a playful, fanciful object that promises visual delight, especially at night (although to get the effect shown in the night rendering, the installation would have to take place in the Hayden Planetarium, not PS1). Of course, MoMA could not give this as the reason for its selection. This august institution must give more serious grounds for its decisions. The MoMA committee could have tried to evaluate the form itself in artistic terms. It does so with the paintings and sculptures it exhibits and has done so with works of architecture in the past. Why not in this instance? I’d suggest there are two forces at work. One is the bewildering nature of recent developments in architectural design. Parametric design tools and computer-driven fabrication have unleashed a tidal wave of seductive forms that have, for the moment at least, overwhelmed the collective critical capacities of the masters of the artistic universe. Yet critics are rightly hesitant to judge this new “style” and institutions neglect it at the risk of appearing out of touch. Second, we are experiencing a resurgence of a restrictive type of functionalism. Everything must now have a performative justification. This tendency is always lurking in American culture- we have always been suspicious of anything not absolutely required to achieve some practical purpose. Why it has flared recently is open to speculation. I would suggest that the increasing dominance of technology in our culture and economy is partly responsible. A piece of technology is characterized by being an efficient solution to a defined problem. “Good design” has been redefined within this framework. Why is the iPhone a good design? Because people buy it in droves. In a previous post, I proposed that architecture see itself as an ethics of technology. Clearly, we must have some way of judging the purposes and means of technology , not only its effectiveness in achieving its goals. The core of MoMA’s program for the competition (enlivening a “season-long dance party”) shows that its ultimate goal is to attract visitors to PS1 and generate excitement about contemporary art. This is all to the good. However, their approach to COSMO implies that as an institution they are unwilling or unable to address its qualities as an object or environment. They happily exploit its visual charms behind a fig leaf of performance. The work is no less meaningful for that, but the museum has declared its disinterest, or worse, in addressing it as a work of art. They are bad for our clients. They are bad for architects. We should not make them. Don’t agree? OK, let’s talk. First of all, let’s agree on what we mean by “realistic”. We’re talking about presenting the design of a work of architecture to a client. Realism should mean being like the finished project. But of course a rendering can’t be realistic in this sense; it can only be “realistic” in the sense of being like a photograph of the project. This raises two issues. First, renderings exploit the much-criticized tendency to judge works of architecture by looking at photographs of them. Second, if we ask clients to judge the experience of their projects based on simulated photographs, we may wind up designing images instead of buildings. The fallacy of judging architecture from photographs has been discussed countless times, but I’ll summarize it here. Photographs can be manipulated by photographers to affect their viewers in specified ways. In the Photoshop era, this is truer than ever. The photographer controls framing, composition, lighting, exposure, depth of field, color balance and other variables to produce sought-for effects. All of these variables are aspects of photography, not real experience. In order to view a photograph as realistic, the viewer must also ignore the fact that it is two-dimensional, limited in its range and captures only a single instant. When we judge architecture from photographs or renderings, we are also neglecting the effects of time, movement and memory as well as our other senses on our experience of architecture. We usually ignore these things because we are so thoroughly accustomed to looking at photographs as representations of reality. When dealing with architecture, we need to remember they are not. Our clients need to be reminded that they are not. But why are we showing them renderings if not in the hope that they will see these images as experiences of the project? By showing clients realistic renderings of their projects, we’re capitalizing on the fallacy of judging architecture from photographs. The second issue is an even more serious problem for architecture: we may end up designing images rather than actual experience. When realistic renderings are used to communicate the experience of a project, a client’s understanding of that experience becomes an experience of images. Architects in turn are motivated to adopt the same attitude. We focus our attention on the renderings as the objects of our design- we design an image rather than the building. We may find ourselves reducing experience to images in our own minds. 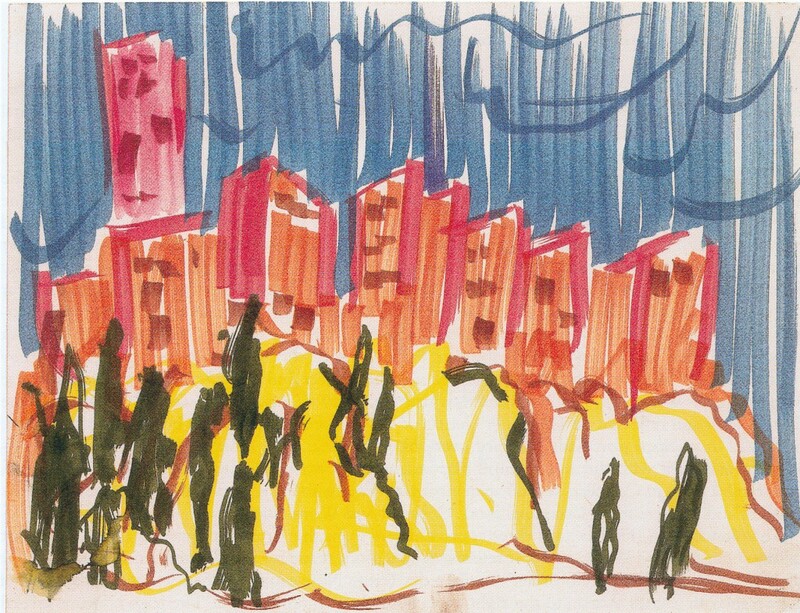 This drawing by Luis Barragan conveys an idea about the project- not its literal experience. Contrast this situation with that prior to the advent of realistic renderings. No one could mistake even the best hand-drawn perspective for an experience of an actual building. In such drawings, the liberties taken by the draftsman were obvious, even celebrated. The qualities of the drawing itself were of great interest. The intention was to convey an idea about the project, and the drawings were viewed in that spirit. There was an implicit recognition that the experience of the completed project could not be represented: it was of a different order. The separation between representation and reality was guaranteed. The more aspects of reality we try to simulate, the worse the problem becomes. The simulations grow increasingly seductive but still cannot reproduce experience. Animations and walk/fly-throughs give an experience of movement, but again their seeming realism deceives: they’re subject to even more manipulation than static images. Architects are now designing an animation instead of an image, but their attention is still on a simulation, not on actual experience. Virtual reality is just another step in this direction. If we design simulations, our built work will have the qualities of simulations. Now that we have tools that can give the illusion of breaching the separation between image and reality, it is up to us as architects to maintain it. We cannot allow our understanding of architectural experience to be shaped by simulation. Given the appeal of simulations for our clients, unilateral disarmament (that is, individual firms renouncing the use of renderings and the like) is a bad business strategy. We must refuse to produce these artifacts as a profession, on the ethical grounds that they deceive our clients and make us less effective designers of the built environment. And we will incidentally be saving architecture from becoming endless simulation.